Upholstered in luxurious leather and matching PVC the Borg Rise Recliner is a stylish and contemporary chair. The Borg Rise Recliner Armchair is upholstered in luxurious leather and matching PVC and is one of softest, most comfortable chair in the Restwell range. 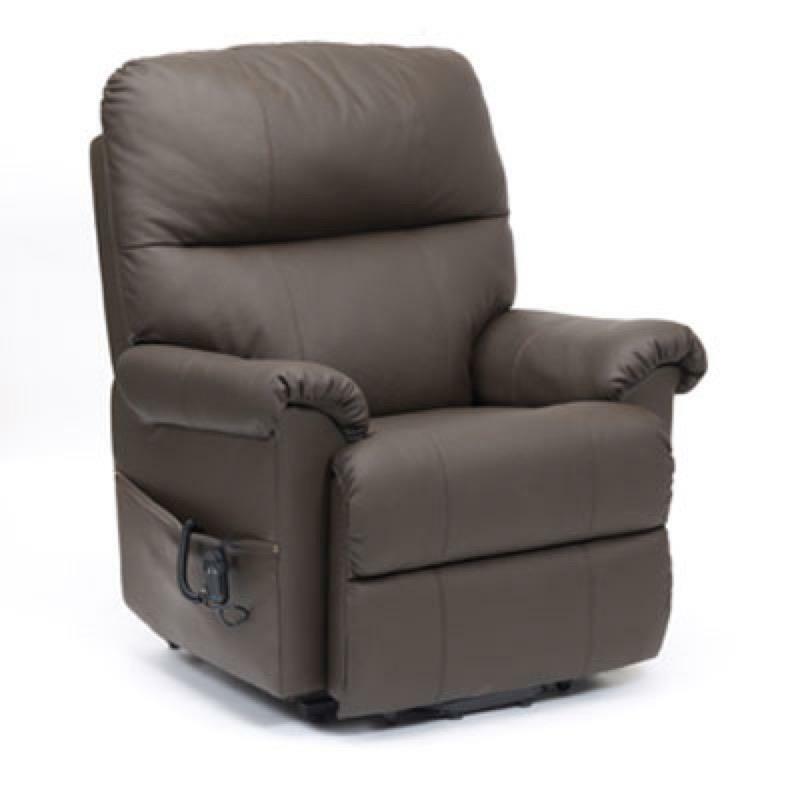 Itfeatures a distinct lift, rest and recline action including an excellent comfort snoozeposition.You can put your feet up and relax in this Restwell Borg Rise & Recline Armchair and with the simple touch of a button it will gently lift you into a standing position. The handset is sinple to operate and the motor is smooth and quiet. Available in four colour options - Black, Burgundy, Brown and Cream. A back up battery is required 2 x 9v batteries these are not supplied.